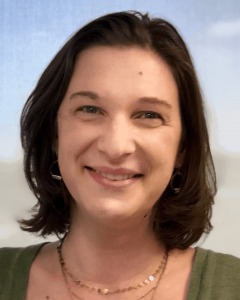 The Vision Sciences Society is honored to present Talia Konkle with the 2019 Young Investigator Award. Talia Konkle earned Bachelor degrees in applied mathematics and in cognitive science at the University of California, Berkeley. Under the direction of Aude Oliva, she earned a PhD in Brain & Cognitive Science at MIT in 2011. Following exceptionally productive years as a postdoctoral fellow in the Department of Psychology at Harvard and at the University of Trento, in 2015, Dr. Konkle assumed a faculty position in the Department of Psychology & Center for Brain Science at Harvard. Dr. Konkle’s research to understand how our visual system organizes knowledge of objects, actions, and scenes combines elegant behavioral methods with modern analysis of brain activity and cutting-edge computational theories. Enabled by sheer originality and analytical rigor, she creates and crosses bridges between previously unrelated ideas and paradigms, producing highly cited publications in top journals. One line of research demonstrated that object processing mechanisms relate to the physical size of objects in the world. Pioneering research on massive visual memory, Dr. Konkle also showed that detailed visual long-term memory retrieval is linked more to conceptual than perceptual properties. Dr. Konkle’s productive laboratory is a vibrant training environment, attracting many graduate students and postdoctoral fellows. Dr. Konkle has also been actively involved in outreach activities devoted to promoting women and minorities in science. How do we see and recognize the world around us, and how do our brains organize all of this perceptual input? In this talk I will highlight some of the current research being conducted in my lab, exploring the representation of objects, actions, and scenes in the mind and brain.